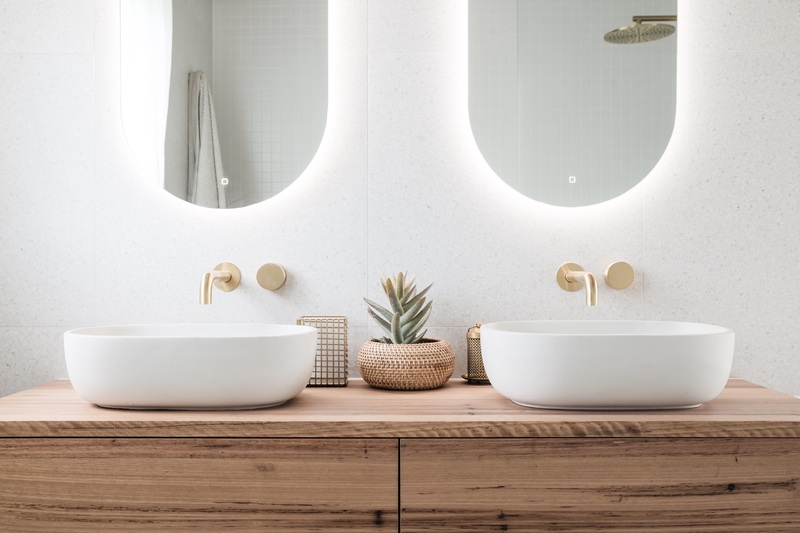 Highgrove Bathrooms’ new Jones & Jones Wall Mount Blackbutt Timber Vanity is no doubt a raw and natural beauty that was designed to draw the eye, no matter the style of bathroom interior. Blending the best in modern technology with beautiful natural resources to craft bespoke pieces, no two Wall Mount Blackbutt Timber Vanities are the same. To create the look and feel of a full-timber grain, a thin layer of blackbutt timber has been fused to a solid vanity core. Wrapping around and aligning throughout the entire cabinet, this eco-friendly design principle presents stunning continuity and allows Highgrove Bathrooms to make these incredible, unique pieces without overusing natural resources. There is nothing like a timber vanity to bring a cosy and inviting feel to your bathroom space, and Highgrove Bathrooms’ latest piece features state-of-the-art soft closing drawers with a Blum push to open system, adding to the overall feeling of luxury. As the perfect way to introduce some character and elegance into your bathroom interior, the Wall Mount Blackbutt Timber Vanity provides maximum storage for all your bathroom essentials with a large drawer format and modular dividers. Every surface is protected by a long-lasting lacquer to repel water and create a durable vanity that will serve you and your family for years to come. The timeless appeal of timber in the bathroom will never fade, especially when it comes to cabinetry and vanities. 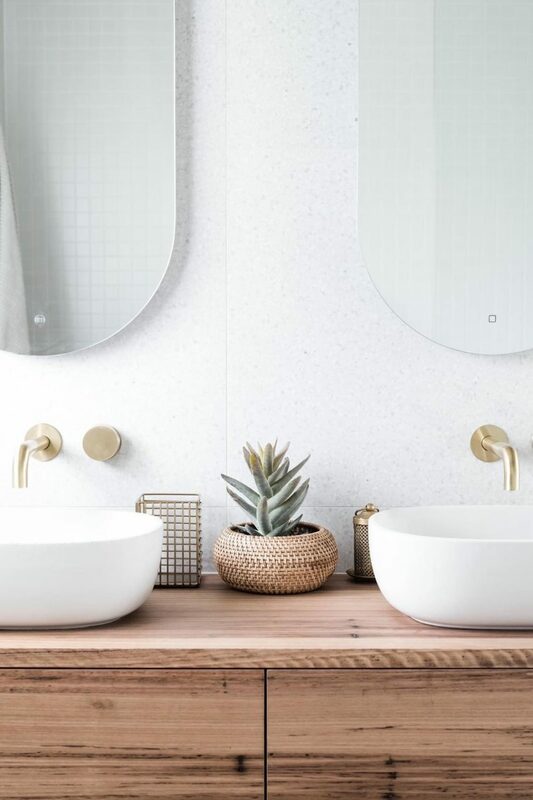 Thanks to the warmth and texture that timber brings to the often white, and occasionally clinical space that is the bathroom, the Highgrove Bathrooms Jones & Jones Wall Mount Blackbutt Timber Vanity is an ideal new addition to your home.